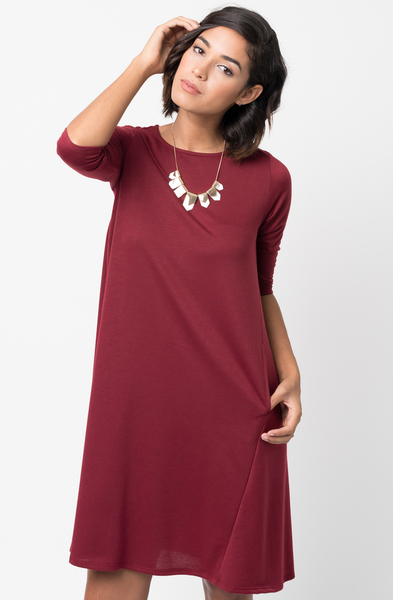 Swingy long-sleeve dress in a cozy soft terry knit we love by Caralase. In a trapeze fit that tapers out to the bottom and fitted half long sleeves. Finished with a banded crew neck and pockets dress.